In her ultra-Orthodox, Brooklyn neighborhood, there are some who mock Rachel “Ruchi” Freir. A lawyer and mother, Ruchi wants to establish an all-female ambulance service so that observant women will feel more at ease asking for help in a medical emergency. 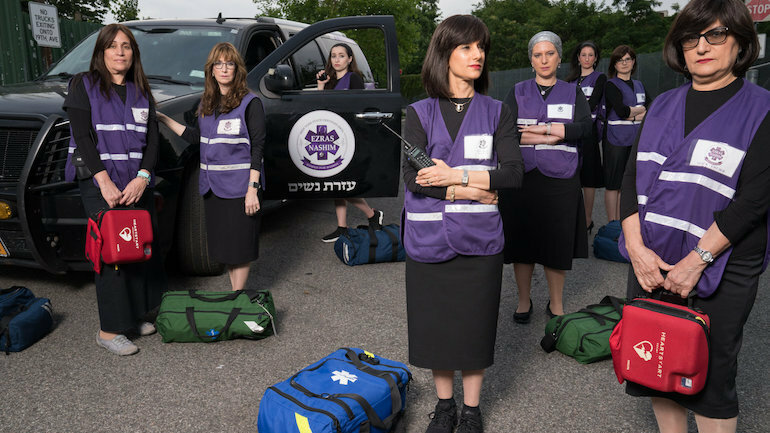 Despite a real need for female EMTs, there is vigorous opposition from those who defend having only an all-male Jewish volunteer ambulance corps. Screening with the short feature Open Your Eyes.